Astronaut Jim Wetherbee shares space stories. Former NASA astronaut, Jim Wetherbee, the only American astronaut to have commanded five space missions, shares stories of Apollo 8 and what it took to get the first astronauts around the Moon and back. In 1968, for the first time in Earth's four and a half billion year history, three men got up one morning - and left. Who was responsible for the decision to send men to the moon on that first flight? How do people make such decisions? Astronauts eagerly climb onto a rocket and live or die as a consequence of their own decisions. But what does it take to live with the decisions made in the Mission Control Center when other people live or die as a result? Since the beginning of the space program, astronauts have developed techniques based on the principles of operating excellence to make effective decisions and execute missions while staying alive in unforgiving environments. Hear how these principles-based techniques can help each of us optimize performance in hazardous operations, business, and everyday life to help us accomplish much more in our dangerous world - or out of this world! With thirty-five years of experience in high-hazard operational environments, Jim is passionate about helping leaders and operators in dangerous endeavors with critical mission objectives. Jim began his career as a Naval Aviator aboard the USS John F Kennedy, flying the A-7 Corsair. In his second tour, he was a test pilot in the F/A-18 Hornet. In 1984, Jim was selected to join NASA in its tenth group of astronauts. Over his twenty-year career, he flew six times on the Space Shuttle. The five-time commander flew two missions to the Russian Space Station, Mir, and two missions to the International Space Station. 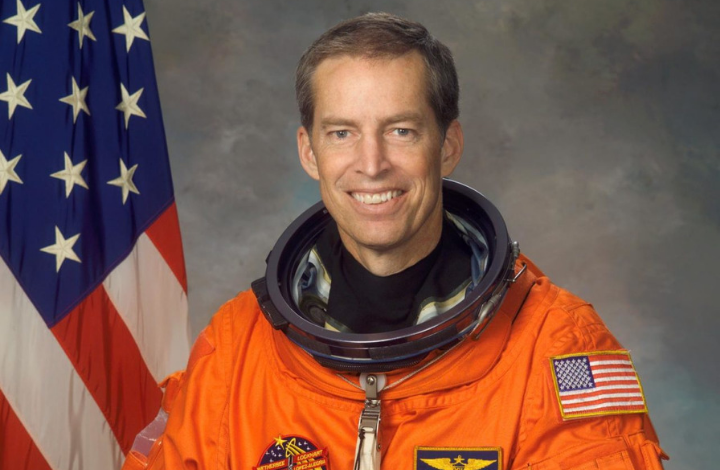 In 1998, he was appointed as the director, Flight Crew Operations, specifically selected to improve the flight and ground safety in the astronaut corps. Bringing his experience from the aerospace industry as a former NASA executive and astronaut, Jim joined the Oil and Gas Industry as a Safety and Operations Auditor for BP, America. As the VP, Operating Leadership, Jim helped to improve operating results consistently over the long-term, by emphasizing effective leadership behaviors to inspire people to perform with operating excellence.